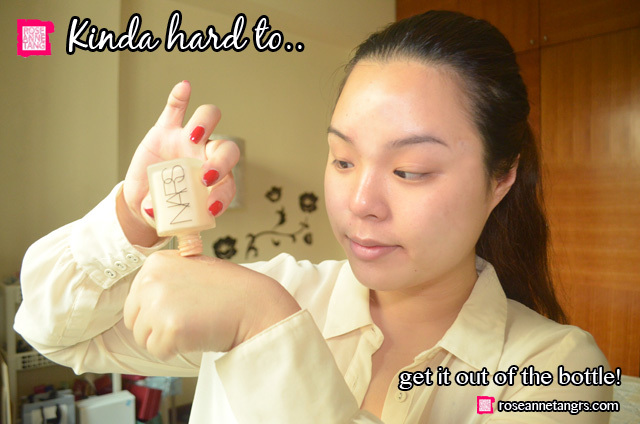 I love NARS cosmetics – their blushes are amazing and so are their eye-shadows and multiple sticks. It’s no surprise that I gravitated towards their foundations too but retailing for almost a hundred dollars each (although now priced at $68 because of the recent price drop) when I was back in Melbourne, it moved to my “i want, but can’t have yet” list. Well, that stood until I got to get it only $35 bucks at the Shiseido private sale! Yeah, I was pretty eggscited. 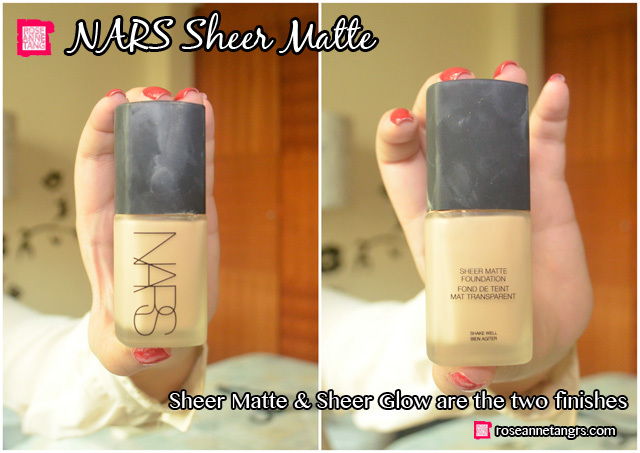 Countless of forums discuss the difference between the sheer matte and sheer glow foundations and I picked the sheer matte simply because I’ve been needing the coverage lately from late nights. Also forgive me if I look a little different today. For some reason, sometimes I wake up with single eyelids or double eyelids and today just happened to be a single eyelid day, lol. 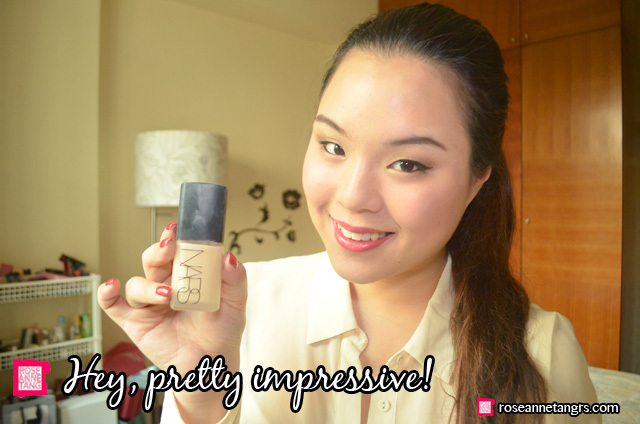 The NARS Sheer Matte comes in a small bottle – complete with quick to dirty classic NARS cap. It’s a sturdy and thick glass bottle that holds the foundation. The bottle unfortunately does not come with a pump so you do need to really shake the stuff out – kinda like taking the last few drops out of a ketchup bottle. Just be careful not to bruise yourself in the process. The texture out of the bottle appears to be a medium thickness. It’s heavy enough to droop a bit as you can see but it’s for sure not as liquid as others can be. It’s more of a creamy consistency. My colour is in Fiji and I’m about an NC30 in M.A.C. On the skin it really transforms. I was impressed with this foundation. In fact, I should be impressed just by the amount people are paying for this. The coverage is about a medium to full coverage and the finish is not super matte but I would say a semi matte (leaning to more matte). 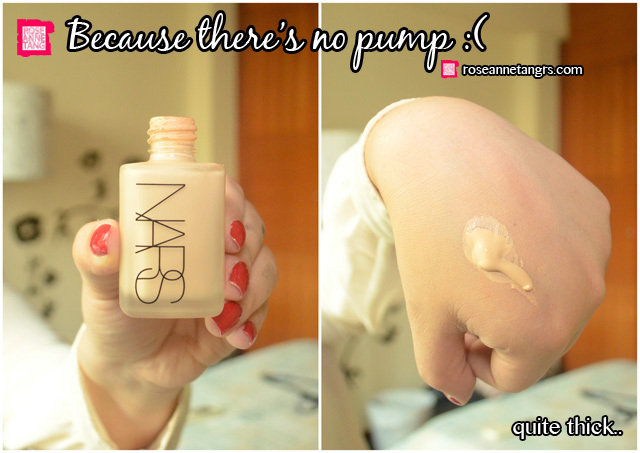 The most impressive feature of this foundation is how ridiculously natural it looks. This foundation has managed to give you matte without cakiness and has managed to give you coverage while still looking “sheer”. I guess that’s why it’s called the sheer matte foundation. The matte finish is good enough that you don’t need an additional powder over the top to feel like you’ve set it. It looks really natural, like it’s your own skin. I’m really impressed by how well it performs on the skin. It has about a 6/10 in blending power. 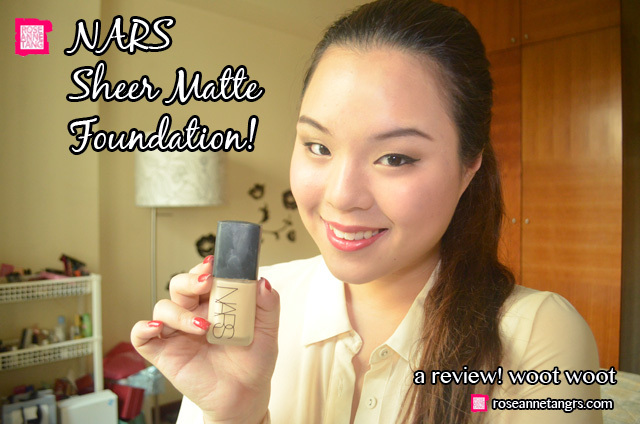 It blends well but like all matte foundations are, not good enough. The only real gripe I have about it is that it doesn’t last very long. A few hours into the day made me notice that my foundation started to fade especially on my nose. Not cool. Overall though, it’s one of the best foundations I’ve tried that has morphed into looking just like skin. I applied it with a sigma brush. A good tip is to apply it in a build-able manner. 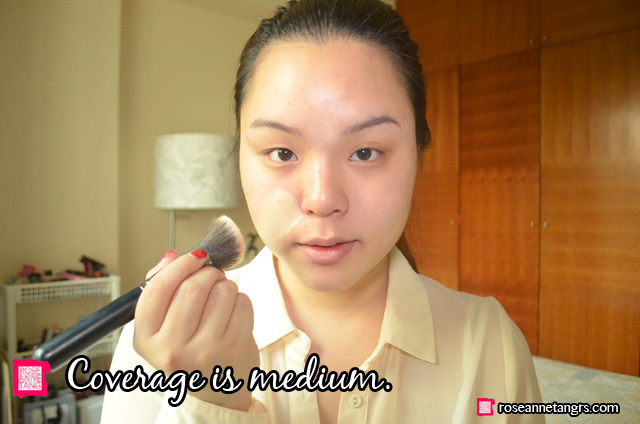 Matte foundations have this trick of not being able to blend well if piled on one area. Take your finger and smear on the face, then blend away. If you need more, take a little more. 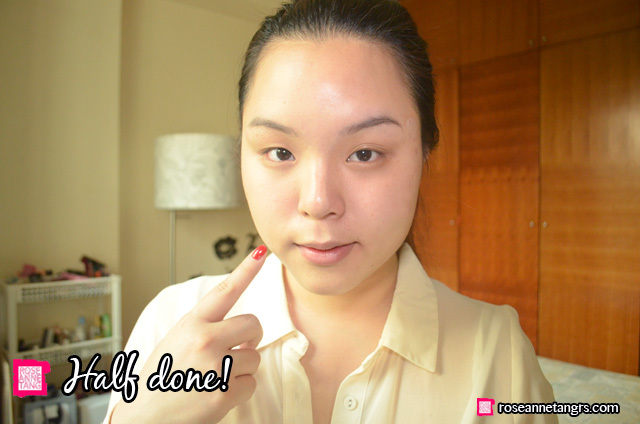 Review: TOPSHOP Make-Up! Lipstick, Eye-Shadow, Nail Polish & Highlighter! Wow! $35! By the way, the price of the foundation is $68 here, since their price drop last year. Also, you can get a pump, here it costs $4 to get the separate pump. yes you can get the pump if you pay more! Oh ok! That’s good then!